Posted October 5, 2016 by Monica Magnetti & filed under Achieve Goals, Brand Your Business, Business Tips, Industry Trends, Internet Branding Tips, Mindfulness, SEO, Strategic Planning Tips, Thrive in Life and in Business. Summer is over. The energy is gone like the sunshine. Are you dreading the work to maintain your website current? Lift your spirit! I am a Vancouver Business Coach that will support you obtain business success. Rejoice! The clouds of September don’t have to dampen your summer mood. Summer is a frame of mind. I learned this living in Vancouver. Your website maintenance doesn’t have to add clouds to the sky. That’s why, as a Vancouver Business Coach, I teach individual tutorials to get the best results from your website. Posted September 19, 2016 by Monica Magnetti & filed under Business Tips, Global Consciousness, Industry Trends, Outsmart Stress, SEO, Strategic Planning Tips, Thrive in Life and in Business, Well-Being, Work Life Balance Tips, Work Smarter. Are you feeling overwhelmed by the time it takes to maintaining the website current? So was I – before I created a system for small businesses to update the websites easily and effectively. Ask yourself, if you had a store, would you keep the same window display for years? Would you walk into such a store? Maintaining the website fresh, with well-written content that works and with images that represent you and your business, is the new price of being in business. Your online presence is an essential part of doing business. Just like that window display, it needs to be reviewed and refreshed regularly. Posted September 8, 2016 by Monica Magnetti & filed under Achieve Goals, Brand Your Business, Business Tips, Entrepreneurs Interviews, Industry Trends, SEO, Work Life Balance Tips, Work Smarter. Yoast SEO plugin maximizes SEO optimization for your writing. 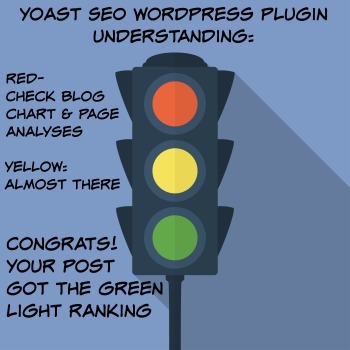 Get more visitors and organic traffic with these basic tips for Yoast SEO WordPress plugin. Good-quality writing shows that you are committed to your services and products. When your writing is good, viewers to your site will quickly become clients. The best way to get the most out of your writing is to understand how to write and post content that is optimized from the start. Thousands of words have been written on how to optimize content. By using Yoast SEO WordPress plugin, which you can install in your WordPress platform, you will produce quality content that will rank high with SEO optimization. 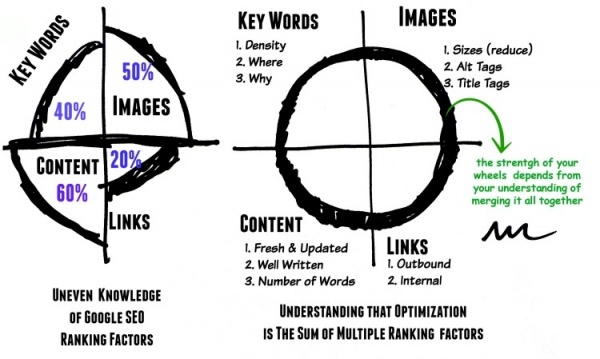 My blogs Content Optimization Fundamental Principles and Optimization Tips: Image SEO offer other valuable tips on how to achieve increased organic traffic to your website. This blog is one more piece of the puzzle. Think of optimization as a wheel with multiple wedges. The way to achieve optimal results is to balance all the wedges in the wheel. My blogs are all connected to each other. Each blog comes first as well as last. Every blog is as important as every other blog in making sure your wheel—meaning your optimization—functions as it should. WordPress Yoast SEO plugin is a magical tool for presenting yourself as the professional you are. Optimization is the sum of multiple steps to producing the best results. 2. Create a title for your blog that will entice readers. Be sure it contains the primary key word. 3. For best ranking, keep your title between 40 and 70 characters. 4. Put your title in the URL of your blog (though you can edit the link). 5. Include the primary key word in the h1 header. 6. For ranking, and to be indexed by SEO, you need a minimum of 300 words. 7. The first sentence must contain the main key word (already in the h1 header and title) and must be under 156 characters. 8. Meta descriptions are the blurbs of text that you see under a title when performing a search. The description of your blog only allows 156 characters. So make sure the first sentence is under 156 characters. 9. The last sentence must also contain the main key word. 10. The primary key word or long tail key word must be repeated in the content. Yoast SEO lets you know if the density is enough. 11. Include as manu outbound links and at least one internal link on each page of your blog. 13. For consistency and quality writing, use other related key words in the body of your writing related to the theme. 14. Paragraphs should not exceed 60 to 63 words in length. 15. Use point form, favored by Millennials. Make sure the points are listed in order of execution. Most viewers like the clarity and understand the message better. Point form is also an excellent way to list long tail key words for ranking. By understanding and following these fundamental steps with Yoast SEO, you will raise the SEO ranking of your content. Yoast SEO will tell you what you need more or less of. If you follow the rules from the beginning, your writing will rank green right away, with a few minor changes. If you choose not to follow these rules in your writing, you will most likely have to rewrite your blog before it makes sense. Before you start your blog, print the 15 steps above and then follow them carefully. A. Choose primary key word and secondary key words. B. Main key word has to be in the title (min 40 to max 70 characters), h1 header, last sentence, and in the image alt tag and title tag. C. The first sentence is a maximum 156 characters. The blog is a minimum 300 words. D. Include outbound links and one internal link in your blog. E. Keep your paragraphs at less than 63 words and use point form. So go ahead and design your wheel. Then find out what you want to learn next and what you want to get better at doing. Make sure that Yoast SEO WordPress plugin is part of your foundation. Posted May 13, 2016 by Monica Magnetti & filed under Achieve Goals, Business Tips, Industry Trends, SEO, Strategic Planning Tips, Work Smarter. Posted March 21, 2016 by Monica Magnetti & filed under Business Success, Fuel yourself, Industry Trends, Internet Branding Tips, Invest in yourself, SEO, Strategic Planning Tips, Time well spent, Work Smarter. Most people still don’t know the fundamental principles for content optimization to get the best WordPress rating and SEO ranking for their writing. In this blog, you will learn the fundamental principles of how writing and content optimization work together. You will learn how to rank higher with SEO so more people read your blog. 1. Begin by identifying your top priority for each piece of writing. Is it to establish yourself as the expert on the topic? To share your knowledge and experience with others? To invite people to get in touch with you? 2. Identify your authentic voice. Who are you? How do you want to show yourself to your readers? 3. Develop a consistent style for your writing. 4. Keep your pieces short, concise, and to the point. 5. Leave something to be discovered.